Drones have taken the world by storm. Since their commercial inception, they started dotting the skies and raised privacy concerns across the United States and United Kingdom. But in the remote regions of Rwanda, they are used to save lives. 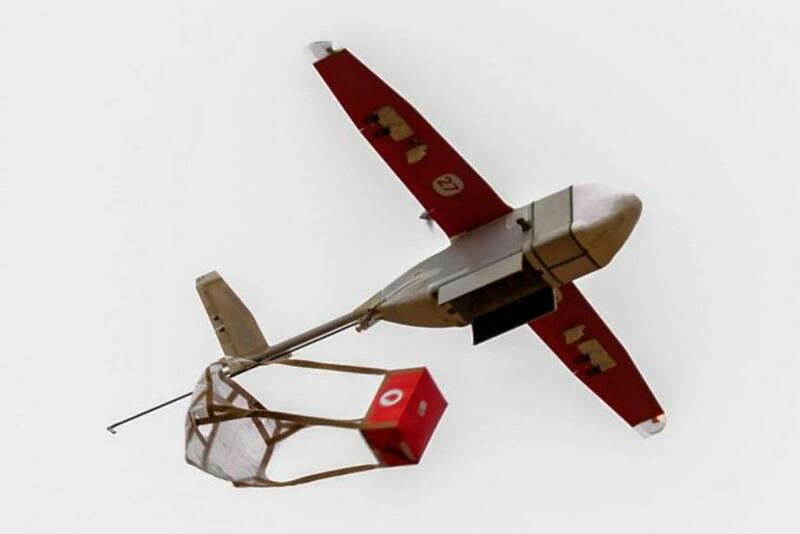 A drone delivery service called “Uber for blood,” is operating in remote areas in Rwanda to deliver blood to patients who are in dire need and are stuck in areas that are rather inaccessible or far away from hospitals by road. A Silicon Valley-based company called Zipline is behind the initiative. Using technology to its ultimate life-saving potential, when blood is needed in any one of the 12 linked hospitals in eastern Rwanda, doctors use popular messaging app WhatsApp to send a message to Zipline, the official website reads. Then a drone is deployed which carries the blood at 60 miles per hour. It would alert the medical professionals when the drone is one minute away and then parachute-drops the package before flying away. This partnership between Zipline and the country's health ministry has reduced delivery time of vital supplies from four hours to an average of about 30 minutes. The initiative has delivered more than 5,500 units of blood since it's inception over a year ago, saving countless lives. Testimonies on the website show the impact the service has had in the nation. After giving birth, Jackline became very sick and needed a transfusion. She received it just 30 minutes later, which saved her life; one of the testimonials read. “I’m grateful for the way Zipline is saving people, especially women during childbirth,” she was quoted as saying. The service does not require pilots hurrying to get to the location or a complicated take-off landing procedure. The drone just requires a small area about the size of a few parking lots to make the drop-off, where the parcel parachutes down to avoid damage to before zooming off. The service operates round the clock, in any weather condition and there was hardly any delay between the requests coming in and for the drone with the parcel to take off. The drone deliveries are vital in rural areas because blood cannot be stored for a long time without the right temperature. Hospitals in remote areas tend to work with stocked up blood and a lot of it was wasted due to spoilage, all of which can be avoided by the using the air-borne middlemen, which lets hospitals use fresh supplies that were delivered on a regular basis. It reduces individual storage costs too. The company has expanded its service to 21 hospitals in Muhanga, Rwanda, and has helped 8 million people since Oct, 2016. The company is now looking to extend the service to Tanzania, with the help of the Tanzanian government. The country has a population of 56 million people who could benefit from the timely, life-saving deliveries the company promises. Zipline also aims to extend the goods they deliver to other medical products such as blood transfusion supplies, antimalarials, HIV medication, sutures, and UV tubes to four bases in Tanzania by 2018. This could support over 1,000 clinics in the country.